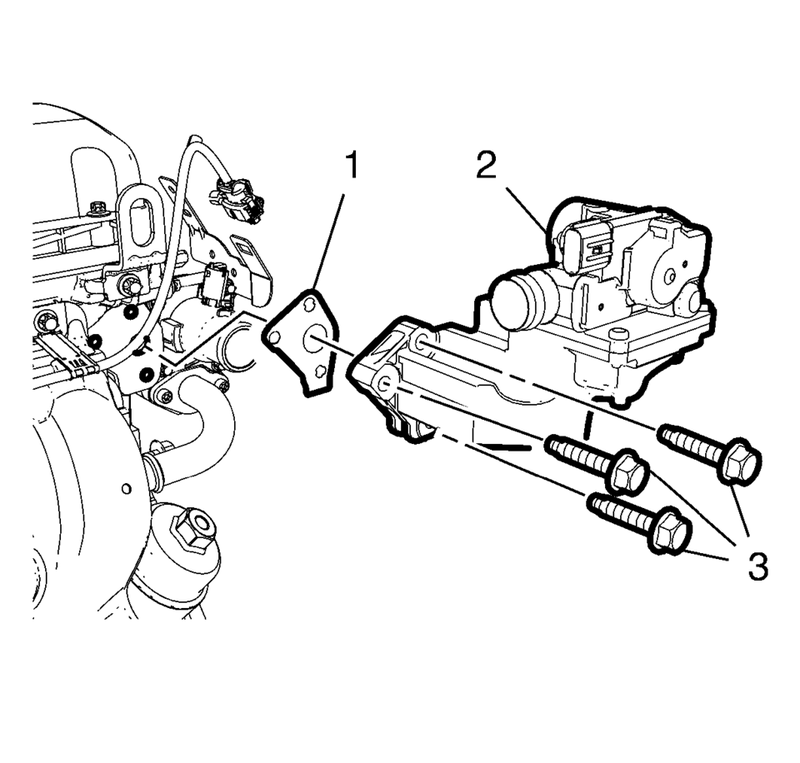 Remove the 3 secondary air injection check valve bolts (3). Remove the secondary air injection check valve (2). Remove and DISCARD the secondary air injection check valve gasket (1).